Sure, college football is back, but there’s a ton of live racing on this weekend. The footballs can wait. 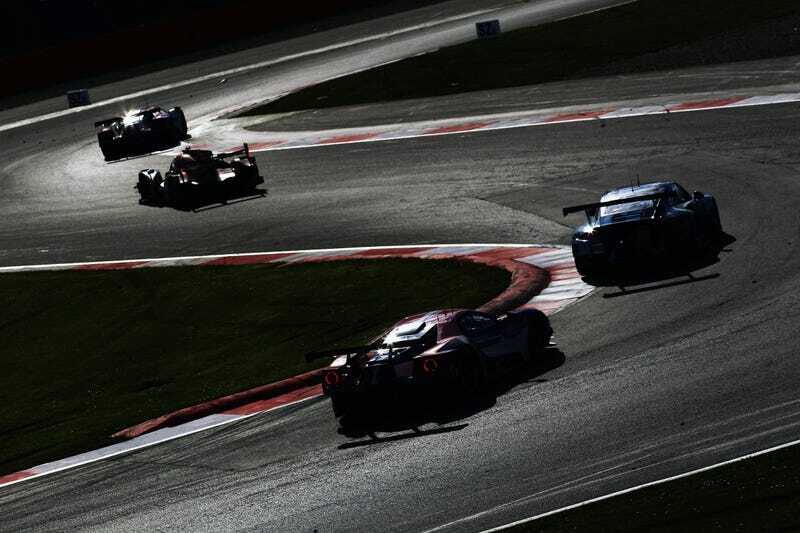 The FIA World Endurance Championship is in Mexico City on Saturday for starters, but they’re kicked all the way back to Fox Sports 2 for the weekend coverage. If endurance racing isn’t your thing, the FIA World Rallycross Championship is on this weekend as well. The coverage will be streamed live on beIN, alongside the MotoGP World Championship’s event at Silverstone Circuit. All of NASCAR’s top divisions will compete this weekend as well, and it’s time for the Southern 500 throwback event—in other words, everyone dresses in wacky outfits and the cars have old-school paint schemes. The only series not at Darlington Raceway for throwback weekend is the Camping World Truck Series, and they’ll be in Canada for a road-course race. If you want to watch some open-wheel racing, Formula One and the Verizon IndyCar Series will be on as well. F1 is in Italy and IndyCar is at Watkins Glen International in New York, which has a new track surface since the last time they stopped by. The drivers are shattering track records like crazy over there, so it’ll likely be a race race weekend. And if you just really want to avoid the ball sports, there are plenty of tape-delayed race showings on as well. If we missed any coverage or streams for the weekend, please do share them in the comments below.